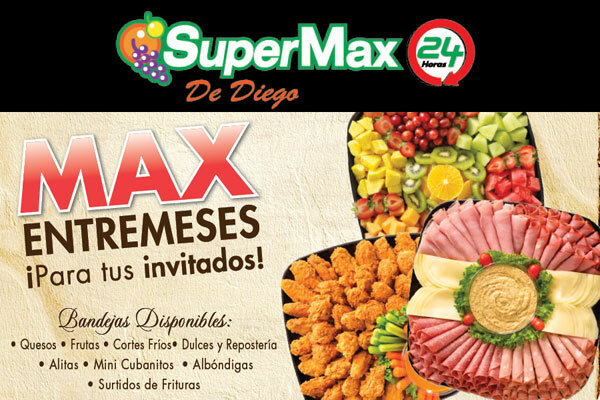 Every single detail of SuperMax Condado is meant to serve a customer that craves a supreme one-stop-shop with quality, variety and great prices as its key ingredients. *Chef Max- With more than 25 years of experience, Chef Rodney -best known as “Chef Max”- prepares daily low sodium and healthy to-go dishes with fresh and natural ingredients. His motto is “to deliver a high quality meal as that of a restaurant, but with the prices of a supermarket”. Already packed for your convenience, just Pick & Go! (Ready to microwave or to eat out of the package). Perfect for lunch or to take home as a family dinner or appetizer. Menu includes salads, pastas, soups, lasagnas and sandwiches. 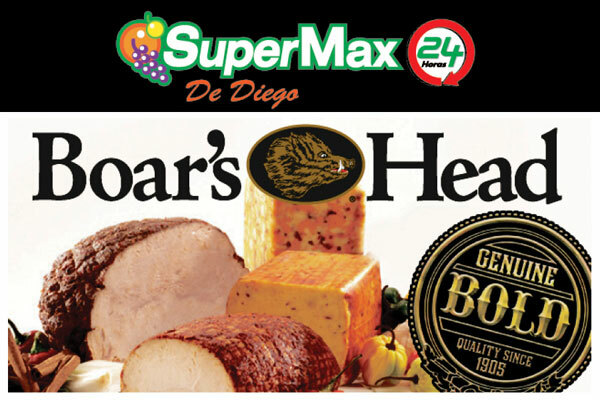 *Deli: Enjoy an extensive variety from Boar’s Head premium deli meat cuts and cheeses. Ask James, the Boar’s Head Master, for his choice of daily offers on to-go sandwiches and wraps. *Party Trays: Make your life easier! Delight your guests with high quality in every bite and an exquisite presentation. Trays are prepared with Boar’s Head deli cuts. *From our kitchen to your table: Hearty home cooked meals fresh from our kitchen to your table! Chef Santiago takes pride in using natural ingredients for menus that vary every day (“filete encebollado”, “pernil”, “masitas de cerdo”, “churrasco”…). Dishes come with sides and include beverages. *Pizzas too! : Daily homemade pizza & calzone! Pre-order and pick-up one of the yummiest pizzas in town. *Everyday is a special occasion: Our catering services and complete homemade dinners are not only an excellent choice for festivities, but for a family gathering, an intimate celebration or a corporate event. Your favorite recipes from our kitchen to your special occasion! Choose from “Pernil”, “Jamon Espiral” or Roasted Turkey, combined with “arroz con gandules”, potato salad or “codito salad”. And last but not least, close your banquet with a succulent apple, cherry or pumpkin pie. 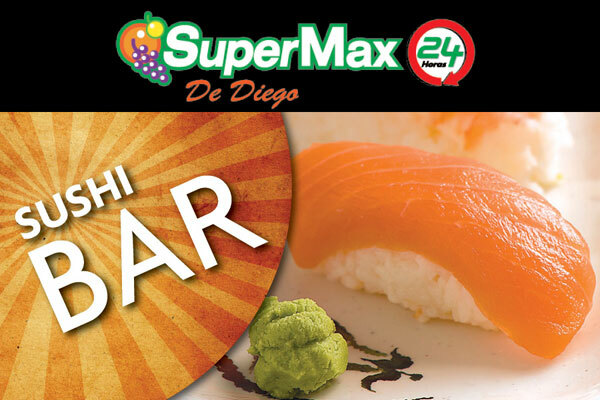 *Sushi Station: Chef Frankie prepares high quality sushi every day, perfect for take-out or catering. Arrive at your party with one of his sushi trays and it will surely be the center of attention! *The Sweet Place: Our certified pastry chef, Mayrelee, is certainly one of our little secrets. Her all natural recipes made with high quality ingredients with no preservatives and baked daily, include traditional and gourmet desserts (as petit fours and Mignardise). Fruit tarts, lemon meringue, cheesecake, pastries, cinnamon rolls, artisanal breads, “tres leches”… You name it and she prepares it, even if you prefer yours sugar or gluten free and/or vegan. *Coffee MaxBakery: Our certified barista’s Aroma del Cielo will definitely lure your coffee craving. Follow your nose to the aroma of this authentic premium coffee grown in Hacienda Monte Alto, located in the high mountains of Adjuntas, Puerto Rico. Enjoy your choice of expresso, “cortadito” or a traditional coffee & milk with our selection of scrumptious baked goods right from the oven and crafted daily by our certified pastry chef, Mayrelee. Her meat and chicken turnovers are to die for, as well as the “quesitos”, mini cupcakes, brownies, cookies, pastries and muffins. *Acaí Bowls, Sorbet & Lemonade: Pamper your body with nature’s best! Homemade Acaí Bowls rich in antioxidants, omega fats, amino acids, fiber and protein, served with your choice of fresh exotic fruits, coconut oil and honey. Here you can also find an assortment of 100% natural sorbets (mango, guava, passion fruit, coconut and “guanabana”), and freshly made –right in front of your eyes!- all natural lemonade. *Flower, balloon & basket shop: Isabelita is another of our assets! She can help you decorate with style or liven up any special occasion. Her beautiful flower, bouquet and balloon arrangements, as well as gift wrapping techniques, will enlighten anyone’s day. *All your needs can be met in one place: Banco Popular; One Stop Pharmacy with drive-thru & medical supplies; laundry services 5àsec; License & Co., Western Union. 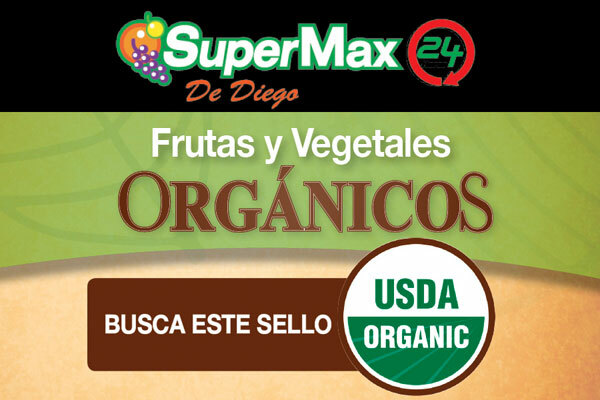 *Take advantage of Pon SuperMax, a free delivery service for the Condado and Isla Verde areas. This is another solution for the convenience of those clients who do not have a car or simply prefer their shopping to be delivered right in their door. Just notify our customer service assistant that you would like to benefit from our Pon SuperMax. Customers are required to buy at least $50 in groceries to be eligible for delivery. *Wine, Beer & More: If you are a wine, beer or spirits enthusiast, The House is your place. Located at SuperMax Condado’s rooftop, it offers over 1,300 wines, 250+ craft beers, more than 800 spirits and endless creative gift ideas.